Stop Press .. as they used to say! And Rejoice! 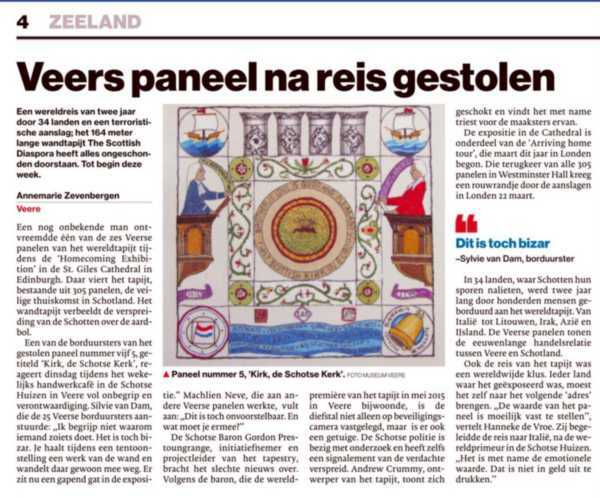 Great news for the Diaspora at large and our friends from the Netherlands. 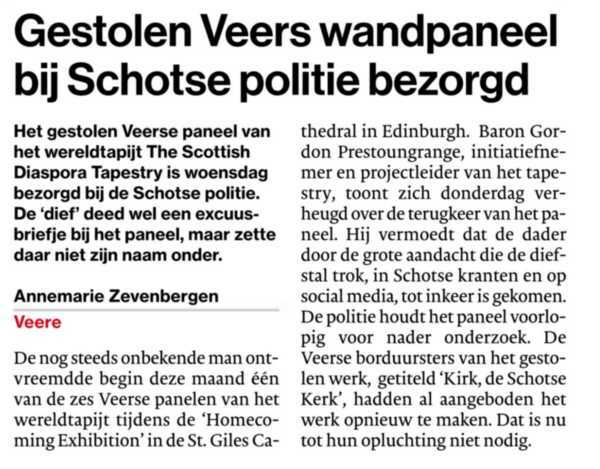 The panel, The Kirk NL05 stitched in Veere, that was stolen from St Giles Cathedral has just been returned to the Police with a letter of Apology. If there are more details to be shared we shall do that as soon as possible but here's hoping that when the 3 Harbours Festival Exhibition opens in Prestonpans on June 3rd/ 10th it will be on display once again.